May buy any quantity. May redeem any quantity per household. Valid for one day admission for 1 person at Seven Peaks Water Parks. Valid for one day admission for 2 people Seven Peaks Fun Centers. Your printable voucher must be redeemed prior to the expiration date printed on it. Sales tax will be charged at checkout. Expires 6 months after purchase. See the terms that apply to all deals. With the Universal One-Day Pass, you get a one-day full admission for one person to any Seven Peaks location. 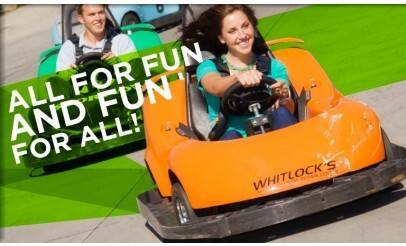 Visit www.SevenPeaks.com to see all the fun things in store for you at your nearest Seven Peaks location!